The MicromATR, a new product from Czitek, has the highest optical throughput of a monolithic diamond accessory, and is compatible with crystal plates from several other manufacturers. Since the crystal has a small diameter, a broad range of samples from the macro- to the micro-scale can be sampled. 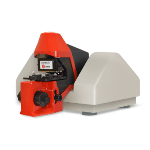 MicromATR makes sampling fast and easy. 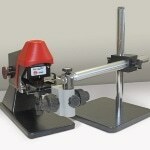 Effortless operation of the pressure clamp ensures uniform and high pressure on the sample, making it easy to obtain excellent ATR spectra from all types of samples. 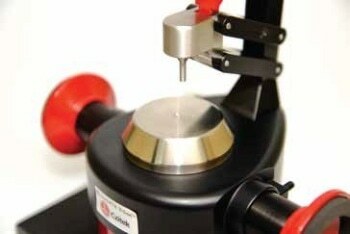 Diamond is recommended for most applications as it provides a durable scratch-proof sampling surface. With the Diamond XR plate, the full spectrum of mid- and far-IR spectral range can be obtained, as well as a view of the sample through the crystal. The Diamond HT (high throughput) plate delivers maximum IR signal and highest signal-to-noise ratio (SNR) for even the most difficult samples. Other options for crystal plates for the MicromATR include germanium for high refractive index samples, Diamond 3X (3 reflection), and Diamond 9X (9 reflection) crystal plates (limited pressure) for low concentration samples and liquids. 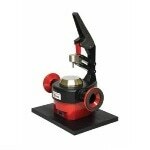 Exchanging the crystal plates, which are kinematic, is easy as no alignment, tools, or screws are required. ATR spectrum of polydimethyl siloxane collected using a 20 second scan time and 4 cm-1 spectral resolution. ATR IR Spectrum of gypsum, an important mineral for use in very many products including construction products.